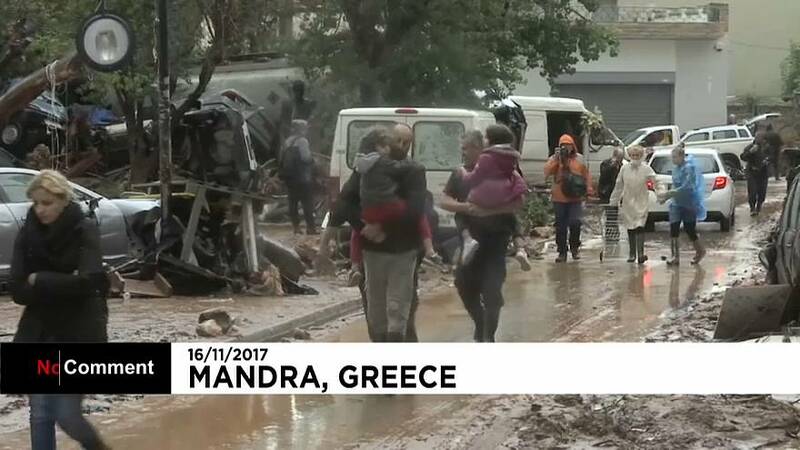 At least 15 people died in flash floods which hit Greece on Wednesday, (November 15), authorities said, as a raging torrent swept through towns west of Athens after heavy rains. Authorities received at least 500 calls for help and more than 150 fire-fighters with 50 vehicles were assisting in the effort. A state of emergency was declared in the west Attica region, which includes the towns of Nea Peramos and Mandra, about 27 km west of Athens. Roads in Nea Peramos and Mandra turned into fast-flowing rivers of mud, with cars tossed onto the porches of homes and against trees and walls. Houses suffered serious damage from mud and water. In Mandra, five people – two women and three men – were found dead either in their flooded homes or in allotments. Another two individuals were found floating in the sea. The fire brigade said at least three people were missing, and an unspecified number of people injured. Some residents were forced onto rooftops and balconies while 12 people were rescued from a bus on a bridge. The wall of a local cemetery collapsed as vehicles collided into a mangled mass mixed with tree trunks.